Ronald Reagan is one of the most popular and beloved of modern presidents. But to most scholars, biographers, and critics, the man is still an enigma. This uplifting new biography offers a simple answer for Reagan's impact--his faith--and explores the effect of Reagan's faith on his motives, ideas, and actions. 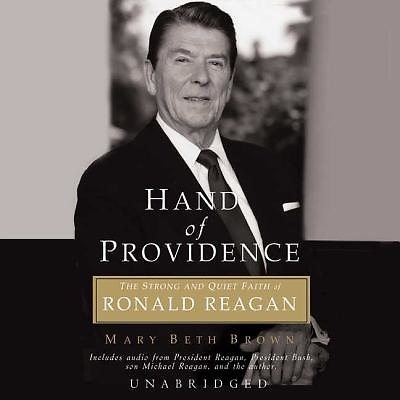 With warmth and insight, Mary Beth Brown delves into Reagan's spiritual journey through all of his doubts and despair and ultimate conviction. She offers profound stories of God's provision in Reagan's life, from first making it as an actor to winning the presidency, from surviving an assassination attempt to eventually changing the face of politics and the world.